Despite the rain it was another great day of racing today. Halle, at not-quite two years old, showed us what a phenomenal competitor she is. 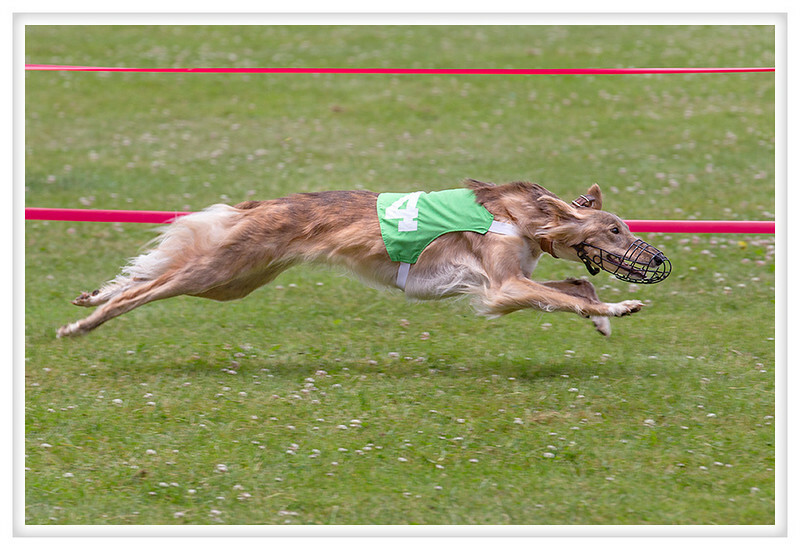 Her stride is long and low so she covers ground quickly and is well on her way to being one of the country's top racers even though she has only three months of experience. Frankie, on the other hand, showed his consistency again. That's right, he won the turtle prize for being consistently last. Well, that's not entirely true, but he did end up with the lowest score of the day despite having over a year of experience. As per usual, Frankie just wants to look good and he is way too polite. As another dog gets close he slows down to let the pass! I don't think he understands racing but he is winning a lot of turtle themed toys and having a great time and when you're that spectacularly bad it is funny. I love that little monkey!